Kitchen Corners: Blame it on Frisco! Sorry I haven't posted recipes lately. You can blame it on San Francisco. I've been having way too much fun with my friends who are visiting me for a couple days and taking them to the city. 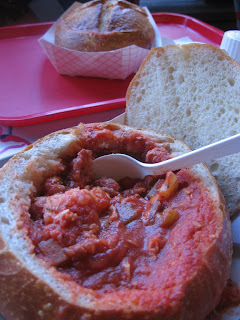 Yesterday we took a gastronomical tour of the Fisherman's Wharf. We ate way more than we should of and then had the priviledge to digest by dancing at a Stevie Wonder concert. Perfect day, no doubt! Pier 39 is famous for their Clam chowder. Every single restaurant on the pier serves this dang dish. I felt pressured to try it even though it was 90 degrees and way to hot for clam chowder. It was good but not great. 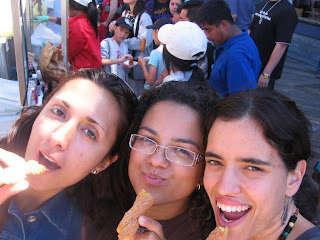 Churros was great. It's always great so I'm not attributing it to anything special. 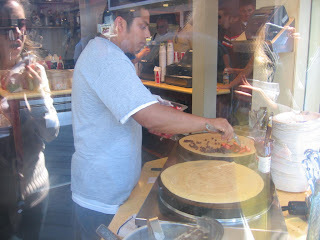 The crepe place on the other hand is VERY special. I love this picture because it shows how most people react as they watch the crepe guy whip up the fattest crepes I've ever seen. 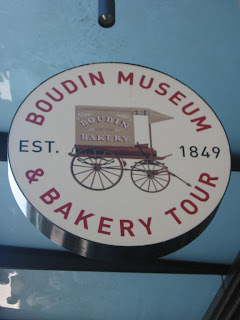 The Boudin Bakery was by far my favorite place. The animal shaped breads are my son's dream food. 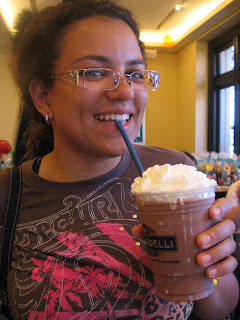 And of course you have to visit the impressive Ghirardelli Square and indulge in some serious chocolate binge. The line to get their famous ice-cream and milkshake is gigantic. I realized that part of the "experience" is experiencing the long line. I'm just bitter because I'm lactose intolerant and can't eat ice-cream. I did have a couple sips of Monique's milkshake. It was super rich and really delicious. Like I said we ate too much and needed a good outlet to digest. We decided last minute to go to the Stevie Wonder concert in Mountain View. It was by far the most delicious part of the day! He's on tour this summer. If you can go, GO! if you can't than enjoy his music from my blog and go have your own kitchen dance party. The whole time I'm reading this, and I'm thinking, Who does she think she is, going on gastronomical tours and to concerts without me? Where is your sense of responsibility? 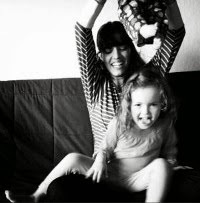 And WHO is going to watch Amaya for me? Enzo can watch Amaya for you. H'e good at watching Christian. You gotta come and visit. You'll love SF. that looks really really great. especially stevie wonder. i'm inspired to make alligator-shaped bread now. but gecko-sized. 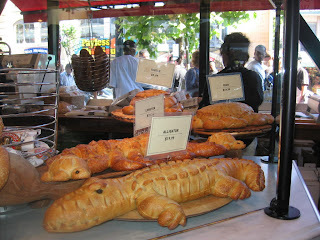 alligator bread-wow that is so cool...i am in shock still. I guess I'll have to plan a trip to cali soon!!!! "a couple of sips" hahaha you crack me up Da, you helped me to FINISH that choco shake, mentirosa! hahahah i lovey you though, and the drive up to "lombard" street was by far an unforgettable moment, thanks for holding the breaks, te adoro linda! what a lovely day you had in San Francisco. do let me know next time you're in town. I'd love to meet you. @heguiberto Souza that was so long ago. 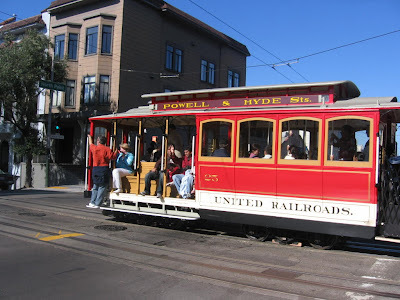 I do love SF and am always looking for an excuse to go and explore.